After the trip with Steve and Ian I spent a day on the water with Simon Becker. Kat’s been having some back issues, and after the first of two days she needed to take a break–I was substituted for Kat and ended up on the water for an unplanned day with Simon Becker. 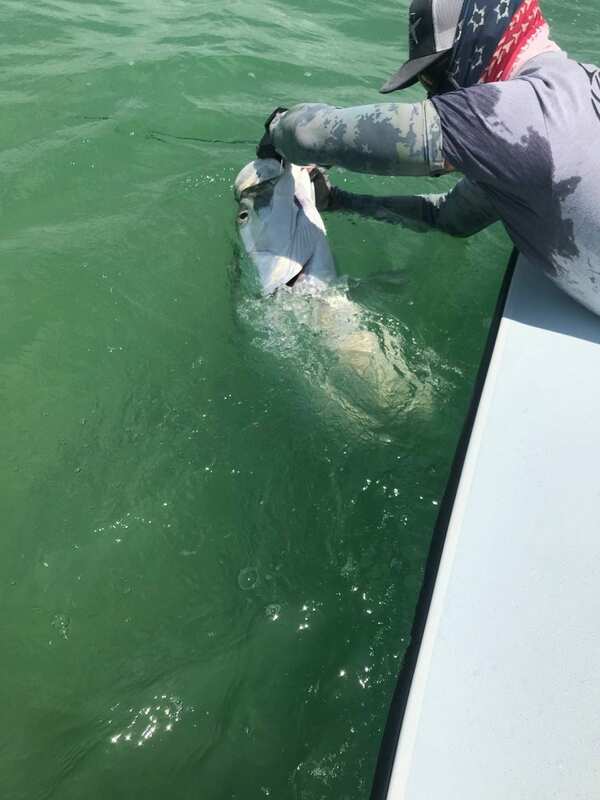 Given the found feeling of this day I was more than happy to try some new things on the water, and Simon and I enjoyed a day of working on new hooks for tarpon in addition to some new flies for permit. It’s a great luxury to be a part of something as cool as trying new permit flies with Simon Becker, and while we didn’t get any to bite we had interest from nearly every fish we threw at. We also tried some new hooks on tarpon, and (predictably) some held better than others. I’m trying to sight in some new hardware on the terminal end of my tarpon rigs, though in a game where even the right hooks will sometimes fail this is far from a perfect science. 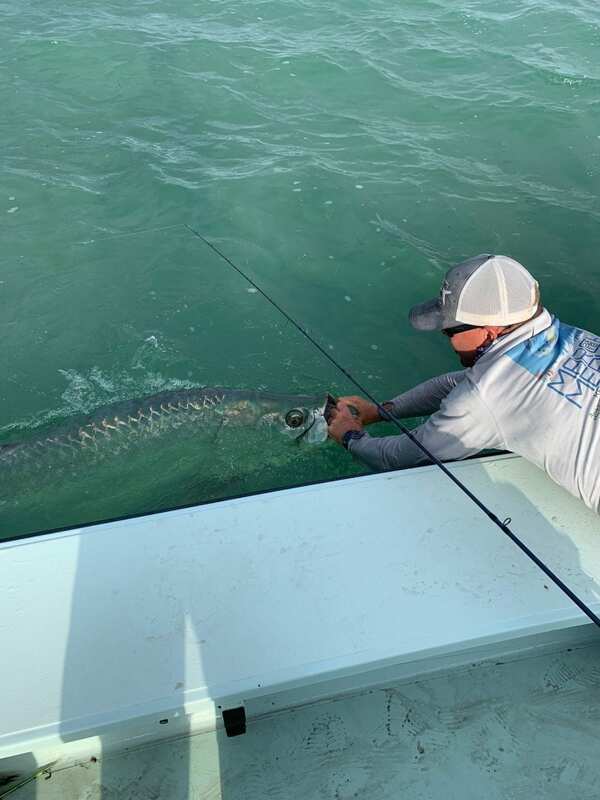 We had fun straightening some wire and eventually stayed connected to a larger fish that threw a larger hook–typical fun for early season tarpon fishing with a good friend. We stayed late, hoping to find some more permit, but in the end we were unable to get more shots in the late afternoon and instead talked fishing in the failing light. As always it was a pleasure to spend a day on the water with Simon, and I look forward to more days chasing more fish with him as always. After this capture we kept up our efforts, though in the wind and clouds it was far from easy. We tried to coax a bite from some resident giants glued to some light bottom, but these fish kept their fly-biting desires to themselves while we were around. We fought a smaller fish to the boat in the early afternoon, losing it to an opened hook as it took a rattling leap away from Ian as he tried to grab its face. Other than that fish we were without another grab, and we had to rely on our morning monster to keep our spirits high on the way home. I’ve got more fishing planned early next week with John boy, and I’m looking forward to spending a day on the water with him as it’s been a while since we last fished.